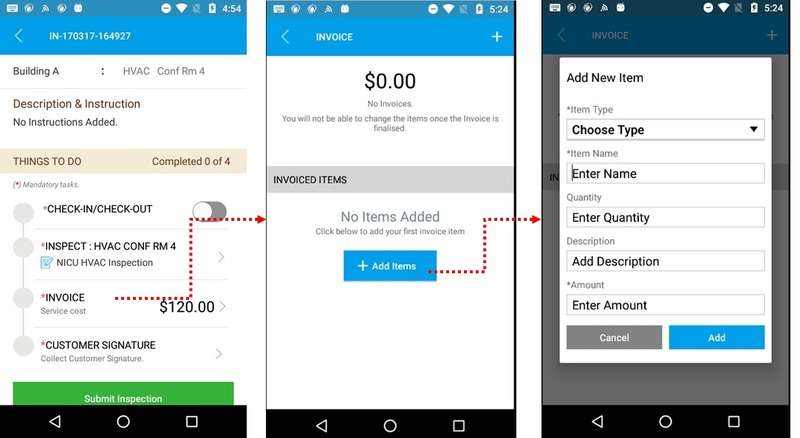 Invoices can be created from the web browser and from the mobile app. A created invoice does not show up in the invoices home until the “Generate Invoice” button is clicked. How to add an Invoice? To add an invoice from the mobile, you can navigate within the Inspection / Work order that the technician is executing from the App. He can tap on the invoice section and create an invoice as shown below. 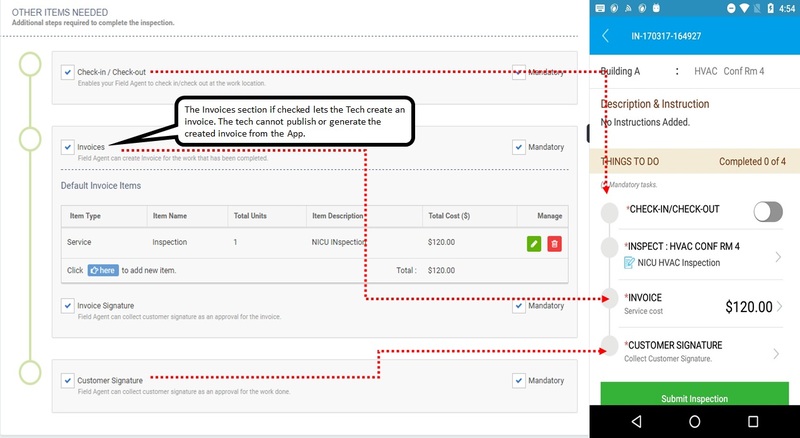 If the Inspection order or work order is set up on the web, to where the technician is required to create an invoice, the app would require the technician to create an invoice and can even have the technician get the customer’s signature. All subsequent stages of invoice processing are in the Supervisor’s or Admin’s control. The invoice created by the technician is not in a published status. The supervisor can view and publish the invoice or generate the invoice from the web. A generated invoice can be viewed and downloaded from the invoices home. A generated invoice can also be revised which would void the older revision. A generated invoice can be marked as paid from the invoice details view.